Senior Choir contracts must be returned to Mrs Lewis by Friday 9th March. Students must return their contracts to Mrs Lewis (not the class teacher), signed by a parent by this date to be included in the senior choir for Semester One. The choir numbers will be finalised after this date and positions set for the remainder of the term. No late contracts will be accepted unless a child is absent in week 6. Parents wishing to purchase a Ukulele for their child’s own personal use and practice at home, please avoid purchasing an instrument with plastic mechanisms as these are primarily toys and are very difficult for the children to tune. Should you wish to purchase an instrument, Music Force Mandurah are offering student entry level Mahalo Ukuleles (the same model used in class) at a discounted price of $36. 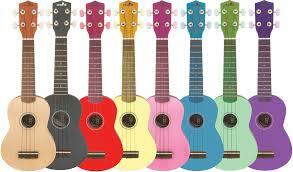 Please note, this is NOT a requirement as we have a class set of Ukuleles at school.